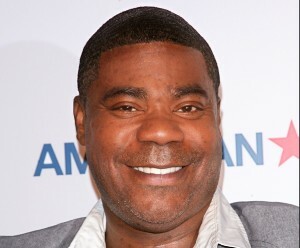 The Walmart truck driver who caused the fatal truck crash that killed one and seriously injured 4 including comedian Tracy Morgan was found guilty of fatigued driving by the National Traffic Safety Board. The NTSB conducted an extensive investigation into this high profile truck accident. Shockingly, the crash investigation revealed that the Walmart driver drove 800 miles from his home in Georgia to his Walmart in Delaware (a 12 hour drive) immediately before beginning his 14 hour shift as a Walmart delivery truck driver. The fatal accident happened just a half hour before the end of the truck driver’s long shift. The NTSB found the truck driver guilty of fatigued driving. The NTSB also found that the truck driver was speeding in a construction zone, driving 65 in a 45 zone which contributed to the deadly crash. The truck accident resulted in personal injury and wrongful death lawsuits. To its credit, Walmart accepted responsibility and settled the lawsuits with the truck accident victims. In addition, Walmart promised to institute fatigued driver training to prevent future truck accidents. As a Pennsylvania truck accident and personal injury lawyer, Tim Rayne helps victims of truck accidents recieve fair compensation after truck accidents. Tim has Pennsylvania law offices in Kennett Square and West Chester Pennsylvania. Tim helps truck accident victims throughout the whole Philadlephia area. Contact Tim at 610 840 0124 or [email protected] or check out his website at https://timraynelaw.com.